Police in Sandpoint, Idaho, and Alexandria, Virginia — communities 2,000 miles apart — have identified the same person of interest in the distribution of hate flyers and harassing phone calls. Although the distribution of flyers and hate speech generally are protected by the 1st Amendment, police are taking an interest because, in both cities, the racist, anti-Semitic literature targeted elected officials and human rights activists. Hate flyers in Alexandria began appearing last year shortly after white nationalist and “alt-right” leader Richard Spencer was confronted by a Georgetown University professor and later kicked out a fitness center in that community. The professor’s photo subsequently was printed on the hate flyers. Later, Alexandria’s Mayor Allison Silberberg and several City Council members began receiving racist, anti-Semitic phone calls, the Sandpoint Reader reports. The alternative weekly newspaper first broke the story about the connection between hate incidents in the two cities. In Sandpoint, photos of the city’s mayor and the president of the Bonner County Human Rights Task Force were included in hate flyers distributed there last year. Variations of hate handbills were distributed on the front lawns of homes and others were sent via U.S. Mail and email to targeted recipients, police said. In Alexandria, the mayor received a telephone recording, later determined to be the voice of Adolf Hitler. 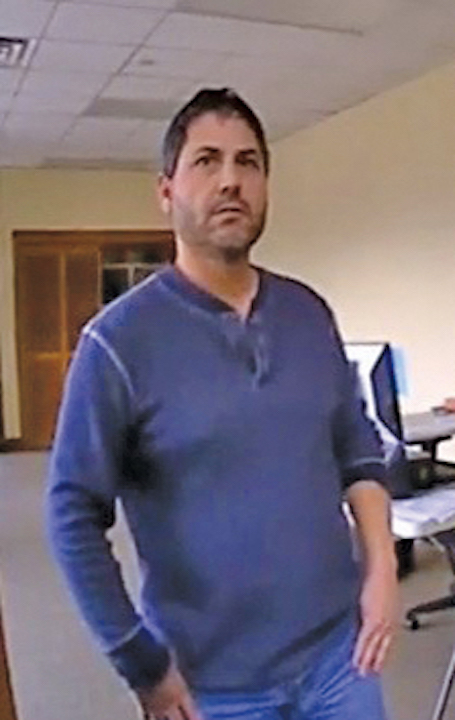 Police reports say that call subsequently was linked to a Sandpoint business called American Discovery Publishing, linked to Scott D. Rhodes. When Alexandria police called the number, they were told they had “reached the desk of Scott Rhodes.” Other phone listings further connected the number to Rhodes, the Reader reported. The Alexandria hate flyers varied in style and content from those distributed in Sandpoint. Authorities did not disclose if the same racist groups were identified in both batches. Rhodes, 48, also is known as Scott Platek, was identified by Sandpoint police after his red Jeep was spotted on surveillance video at the Sandpoint High School on November 30. At the school, police recovered 56 CDs containing racist, anti-Semitic material, according to police reports. Rhodes, who’s apparently from Connecticut, has lived in Eugene, Oregon, San Francisco, Rohnert Park, California, and Los Angeles. He has no known criminal record. While using the name Scott Platek, he was named in state and federal tax liens filed in California, public records show. After the CD distribution was captured on video, the Sandpoint School District obtained a trespass order against Rhodes, barring him from school property for one year. When the order was delivered to Rhodes at a small business suite in Sandpoint, where he apparently operates a publishing business, he denied being involved in distributing the hate CDs or the other literature, the police reports say. “We have you on camera … getting out [of your Jeep] and putting CDs on several cars,” a Sandpoint police officer told Rhodes. “No, I don’t think you do, not me,” Rhodes responded, according to a publicly released Sandpoint Police Department report. “I’d be happy to take your number and have my attorney call you,” Rhodes told the police officers.